Team MotorBoard. 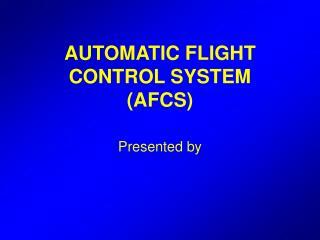 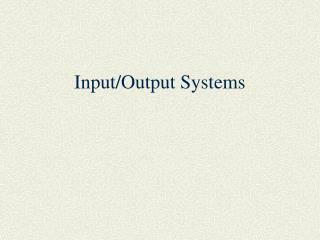 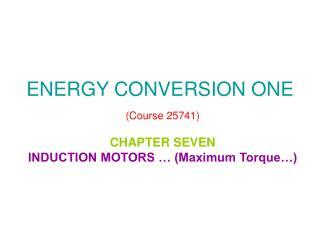 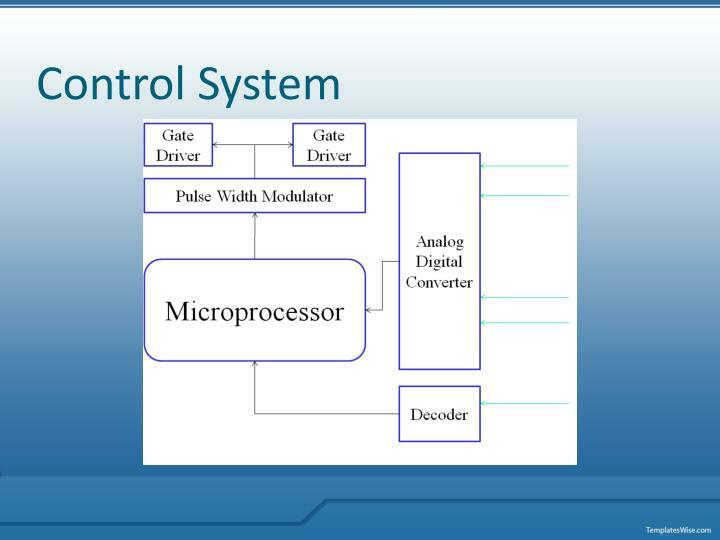 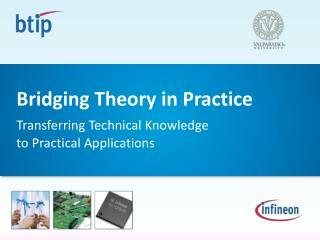 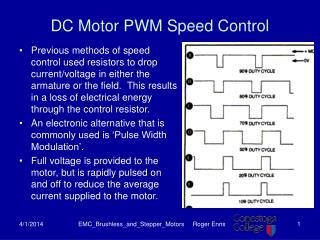 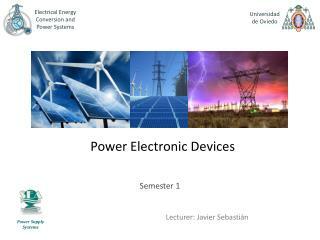 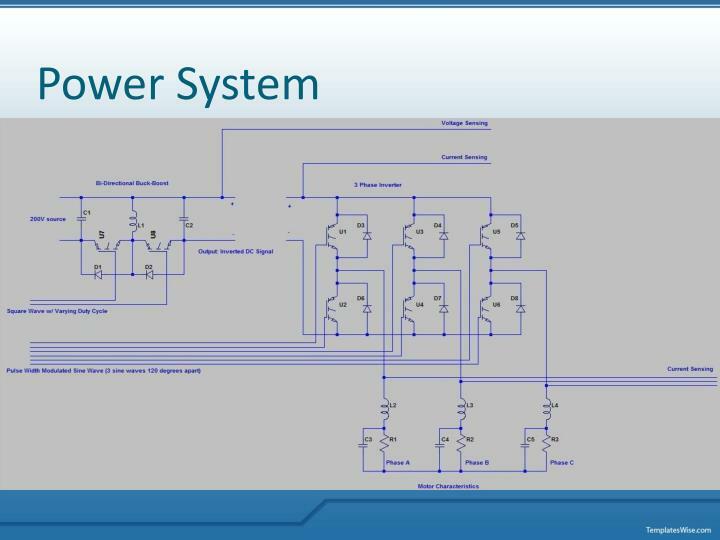 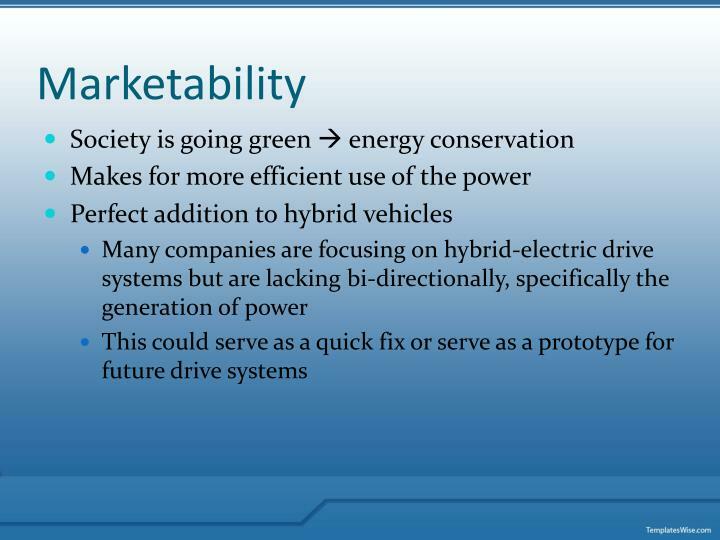 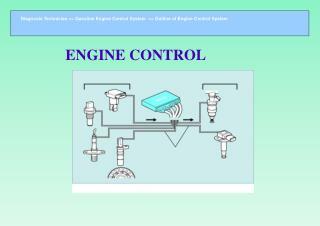 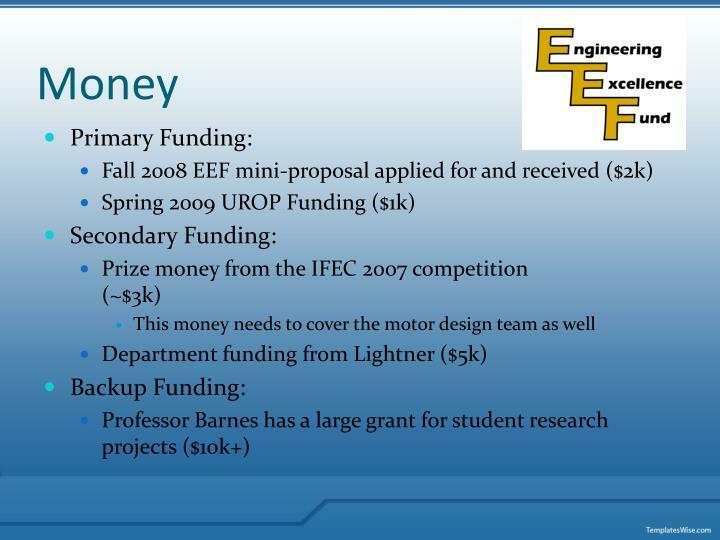 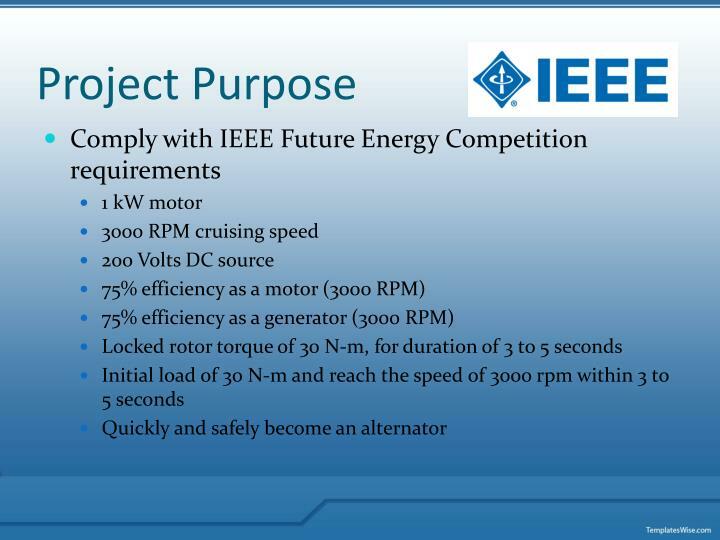 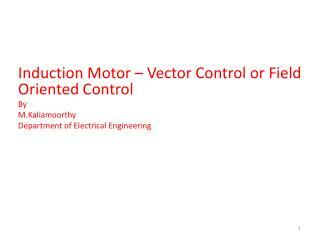 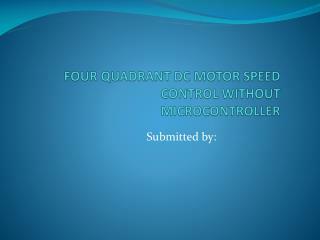 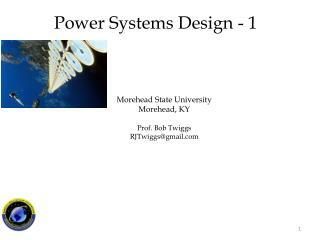 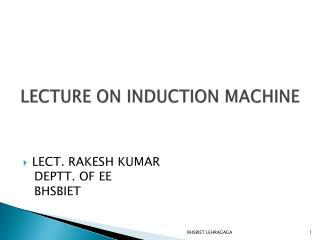 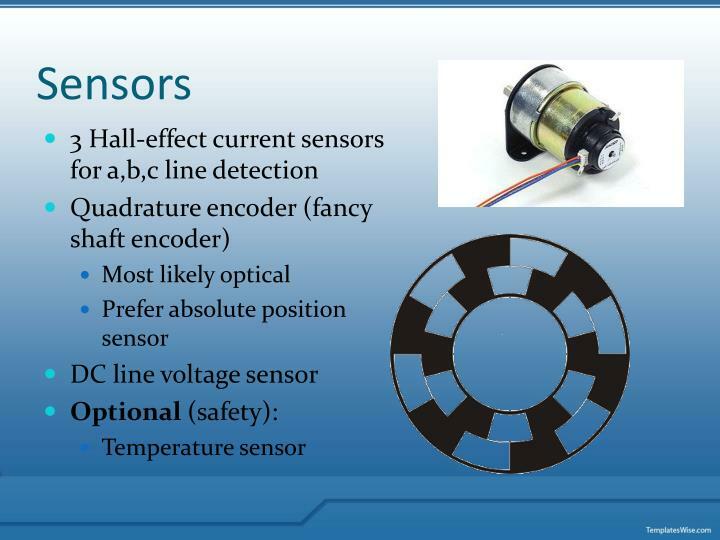 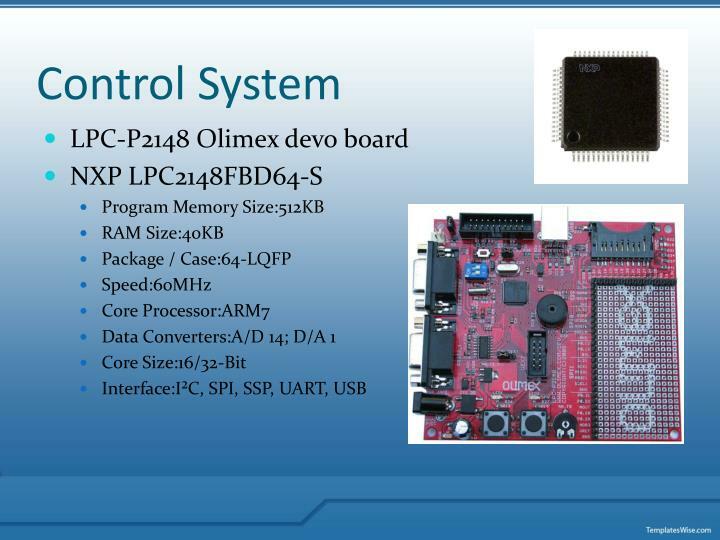 Efficient Motor Control and Power Conversion System. 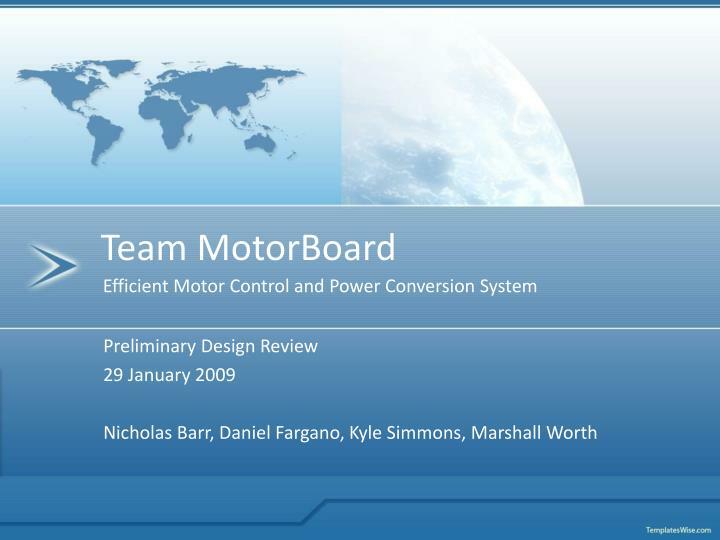 Preliminary Design Review 29 January 2009 Nicholas Barr, Daniel Fargano, Kyle Simmons, Marshall Worth. 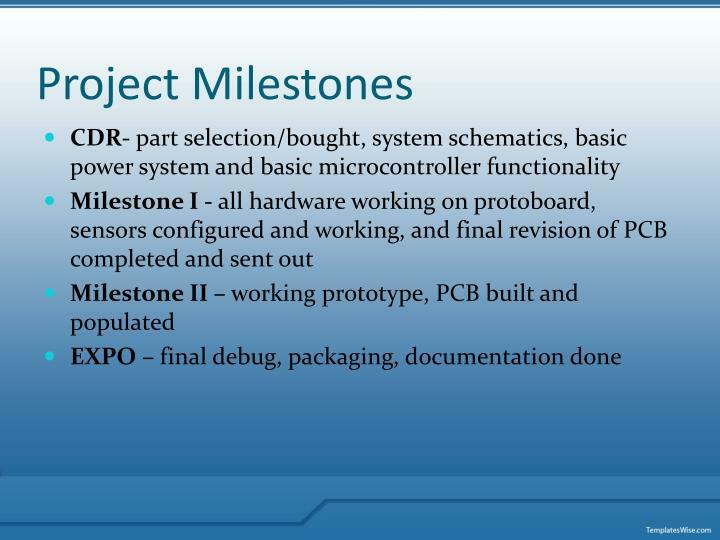 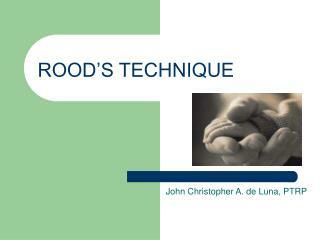 Project Summary. 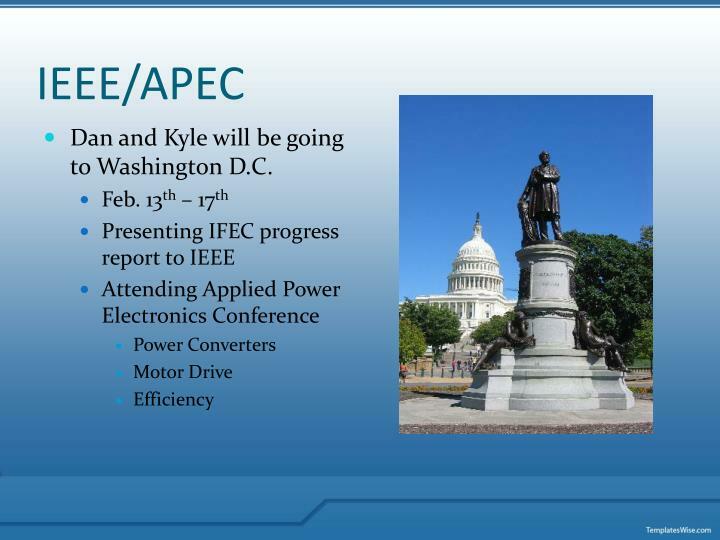 Dan and Kyle will be going to Washington D.C. 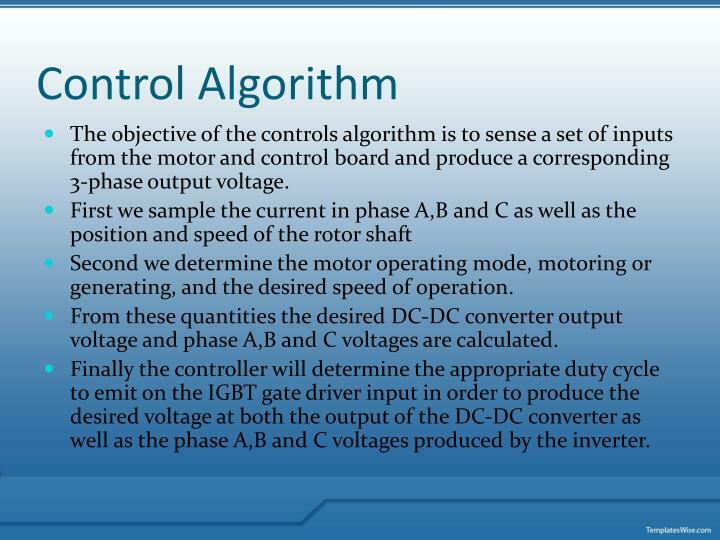 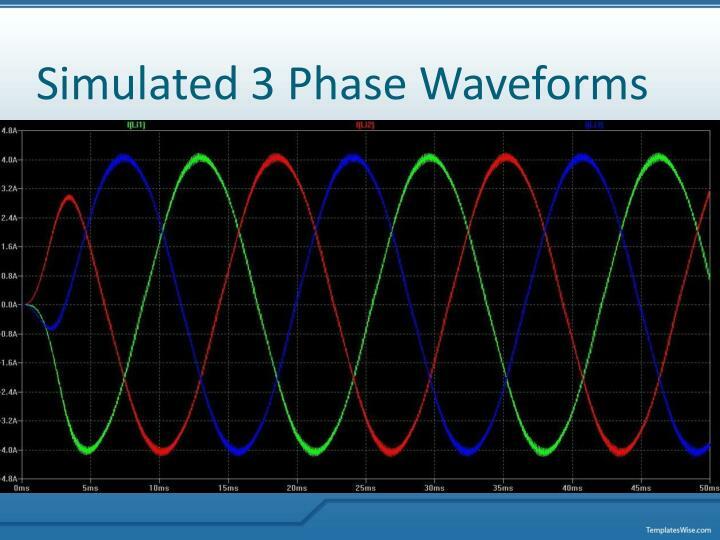 The objective of the controls algorithm is to sense a set of inputs from the motor and control board and produce a corresponding 3-phase output voltage. 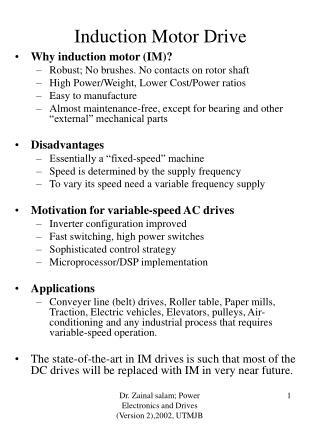 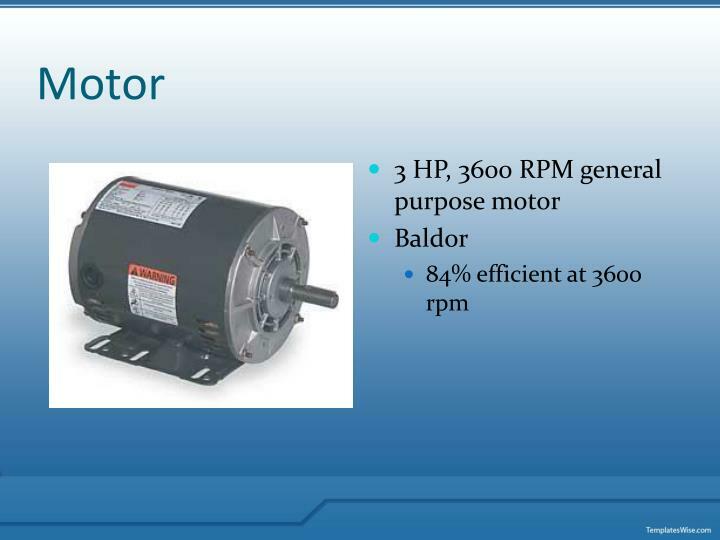 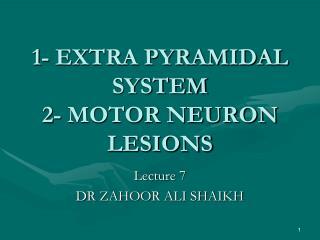 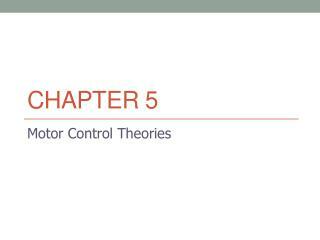 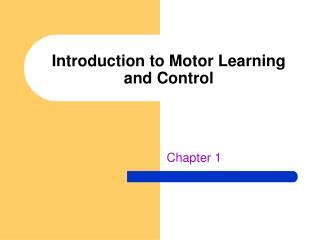 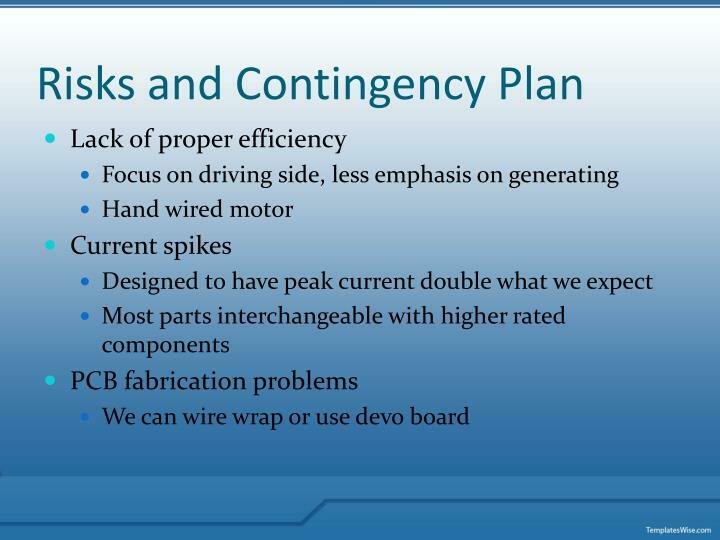 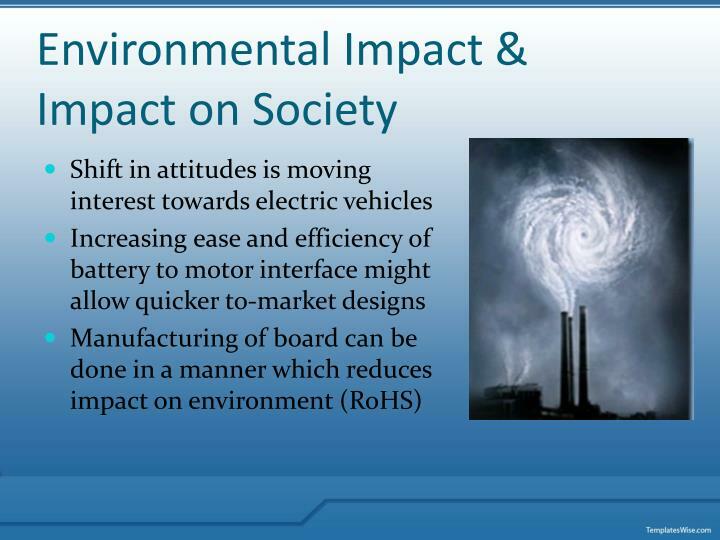 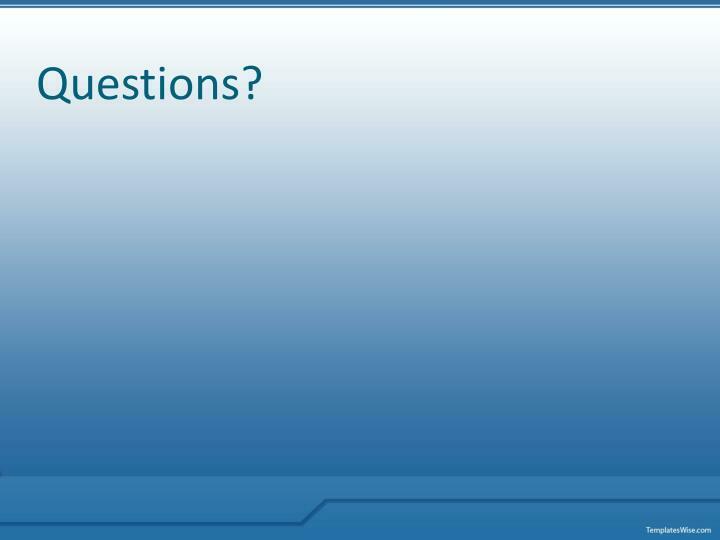 Second we determine the motor operating mode, motoring or generating, and the desired speed of operation. 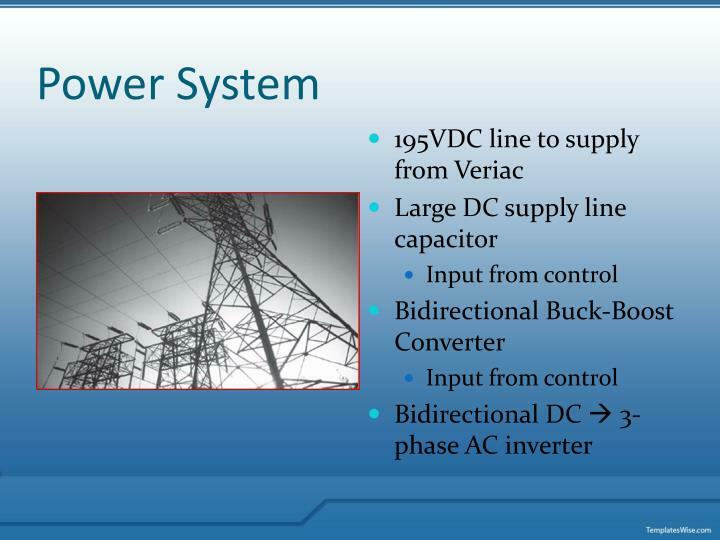 From these quantities the desired DC-DC converter output voltage and phase A,B and C voltages are calculated. 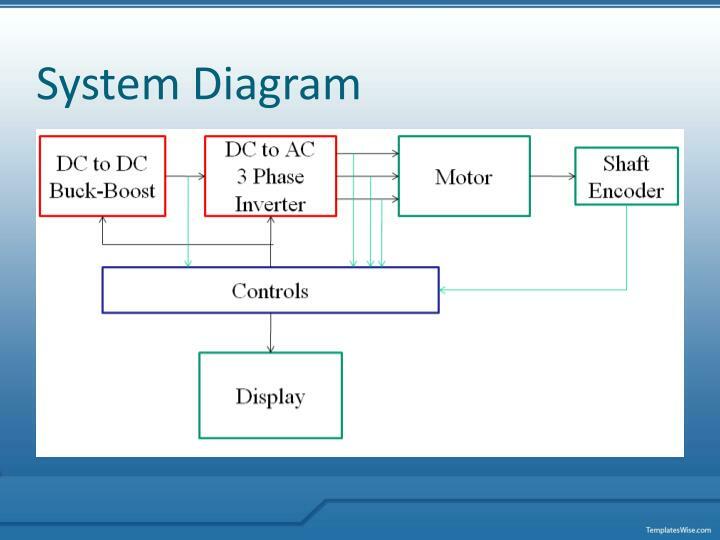 Finally the controller will determine the appropriate duty cycle to emit on the IGBT gate driver input in order to produce the desired voltage at both the output of the DC-DC converter as well as the phase A,B and C voltages produced by the inverter. 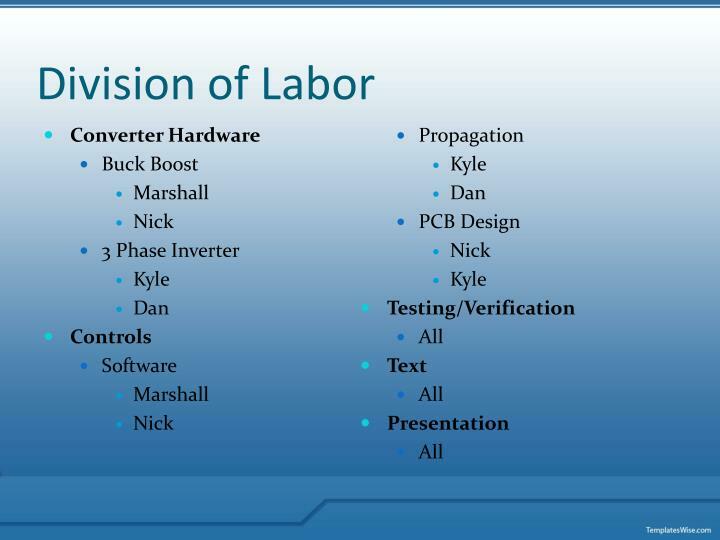 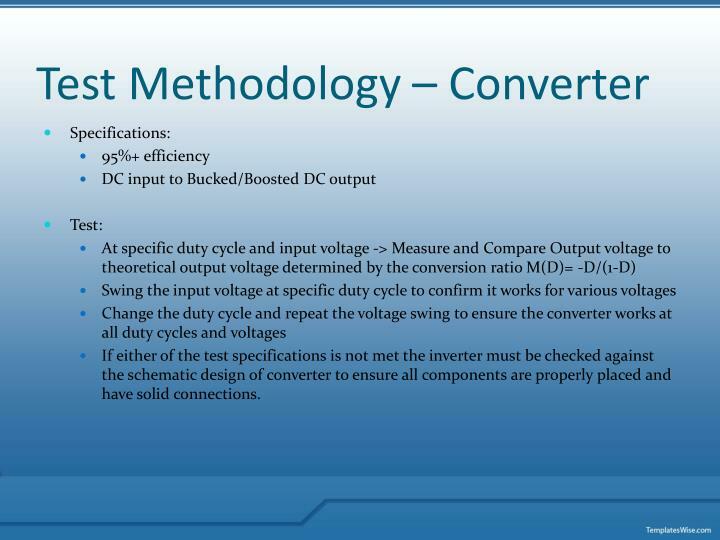 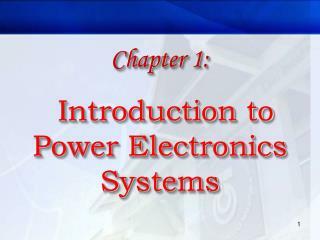 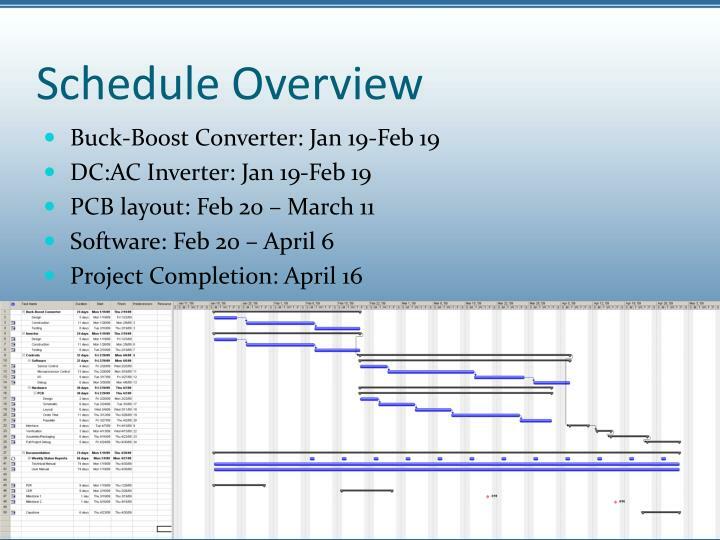 If either of the test specifications is not met the inverter must be checked against the schematic design of converter to ensure all components are properly placed and have solid connections. 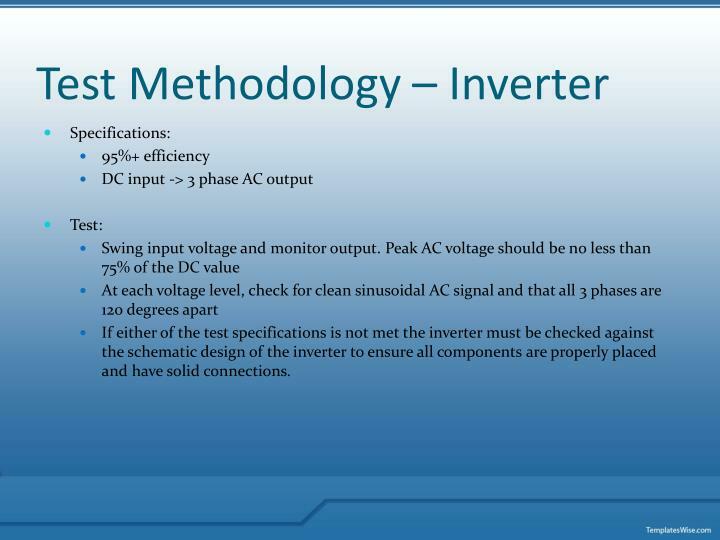 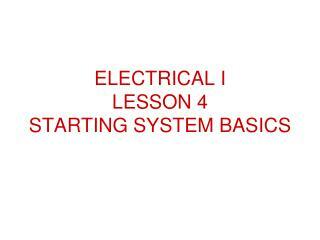 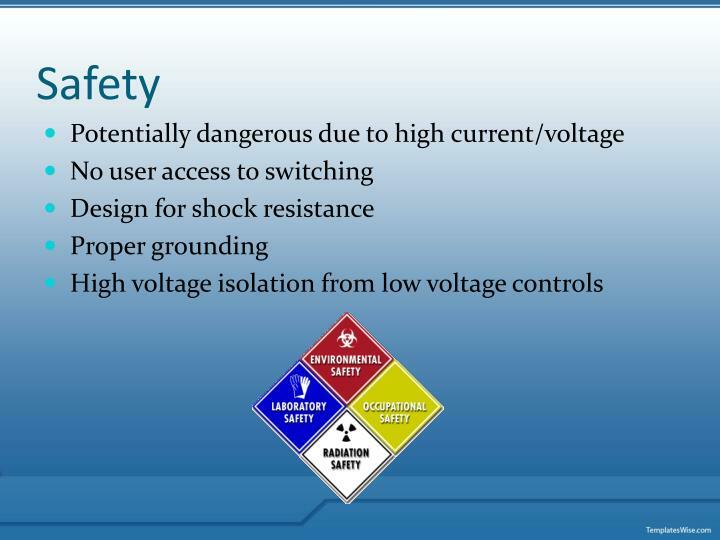 If either of the test specifications is not met the inverter must be checked against the schematic design of the inverter to ensure all components are properly placed and have solid connections. 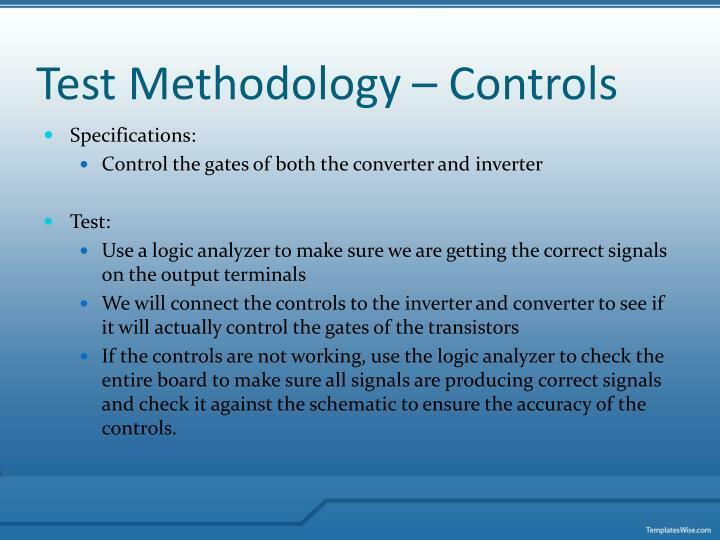 If the controls are not working, use the logic analyzer to check the entire board to make sure all signals are producing correct signals and check it against the schematic to ensure the accuracy of the controls. 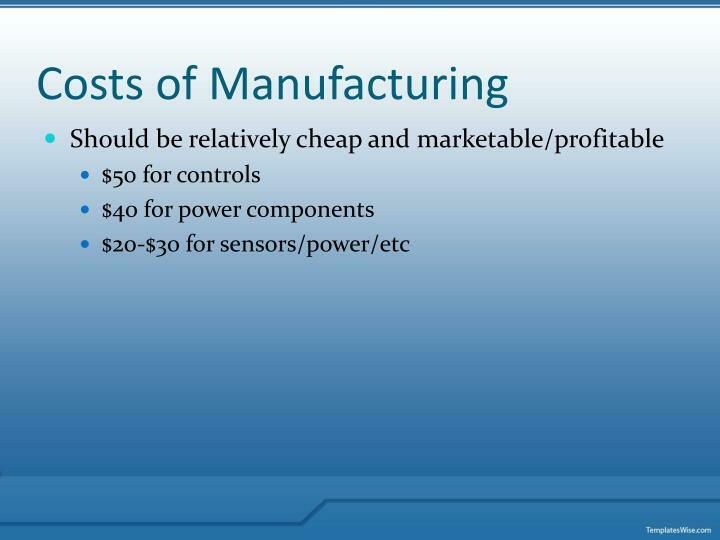 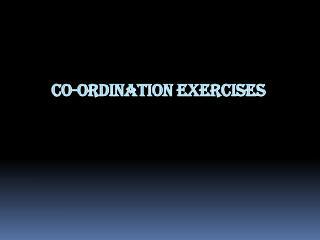 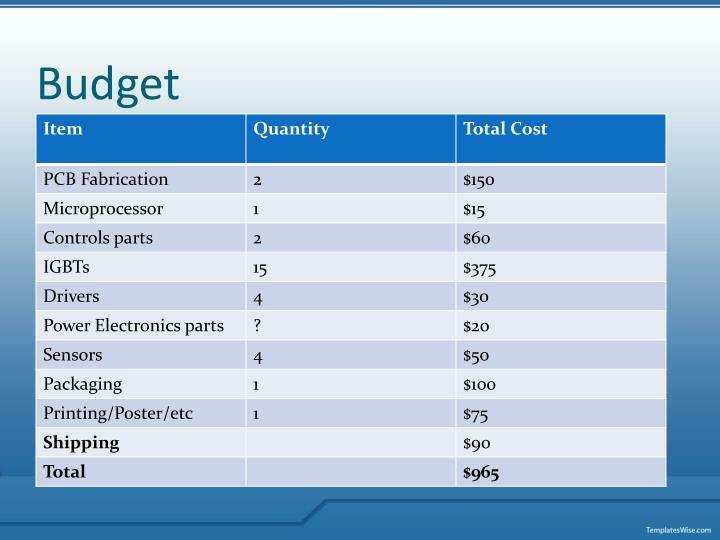 Many of the parts we will be using in our project are accessible through multiple vendors at low cost. 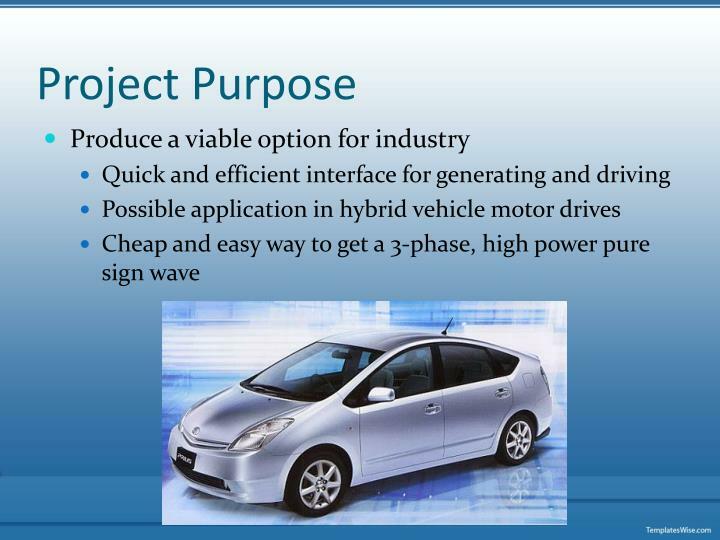 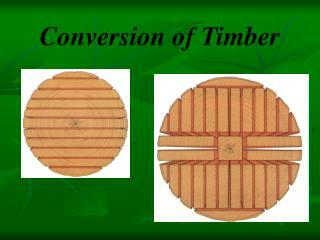 There are no specialty components that would limit us or this project to purchase from any specific vendor. 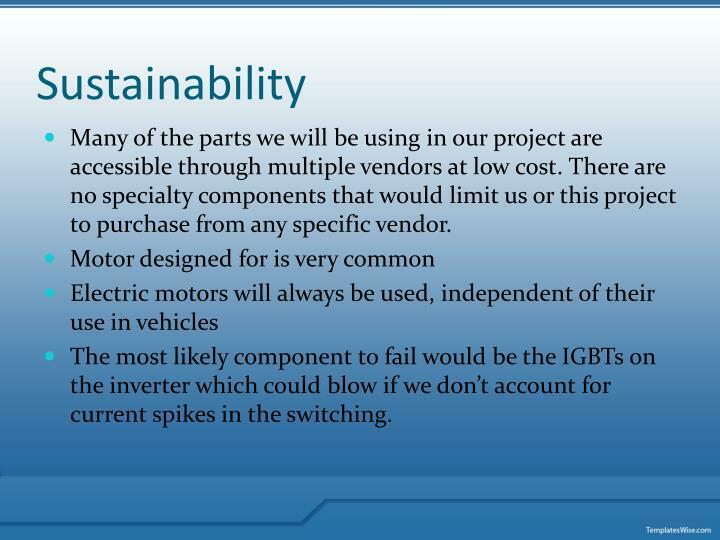 The most likely component to fail would be the IGBTs on the inverter which could blow if we don’t account for current spikes in the switching. 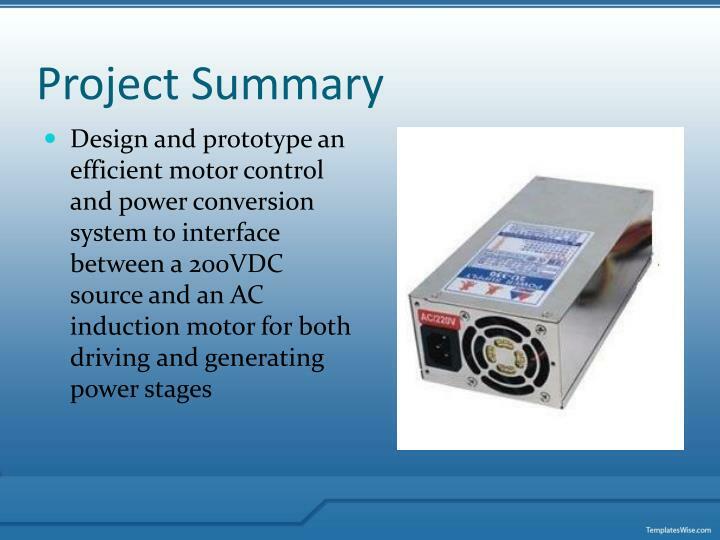 The tolerances on the components shouldn’t be that big of an issue for this project. 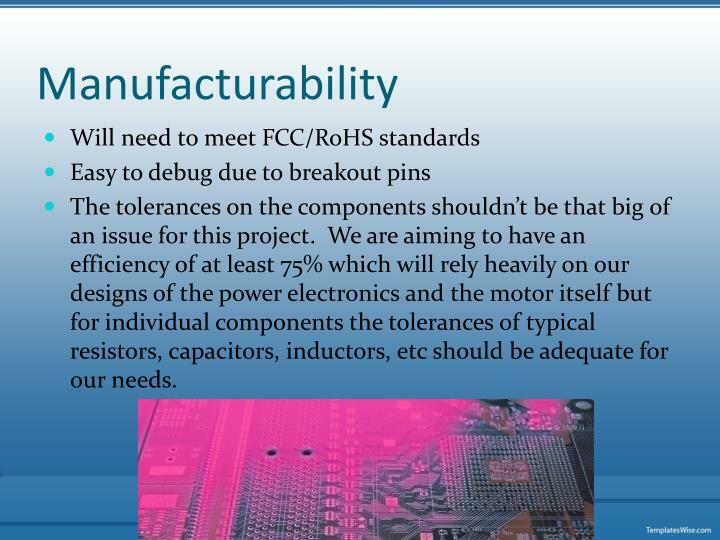 We are aiming to have an efficiency of at least 75% which will rely heavily on our designs of the power electronics and the motor itself but for individual components the tolerances of typical resistors, capacitors, inductors, etc should be adequate for our needs.